Removes dust and debris without scratching and residue. Easily cleans computers or back end servers, electronic devices and other appliances. Includes an extension tube to reach impenetrable areas. Non-corrosive and does not damage delicate equipment. Ozone safe product as it contains no CFC’s. Can be used as a powerful cleaner for various surfaces. Removes stubborn particles even from hard-to-reach places with its pressure-clean system. So you don’t have to give extra effort for extra cleaning! 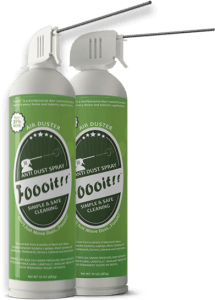 Ozone-Safe as it contains no CFC, so you enjoy guilt-free and safe cleaning!